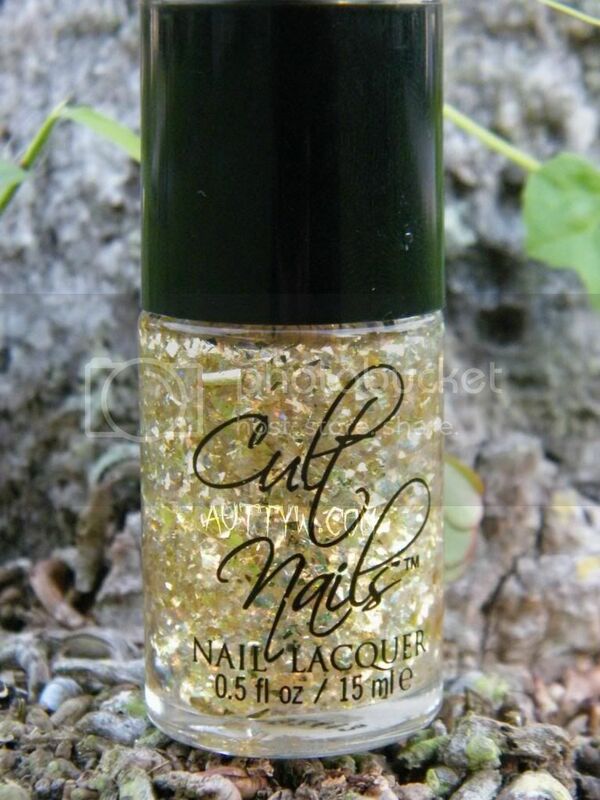 I haven't post a Cult Nails collection in a while, this is only the second one I have purchased actually. It's been a $$ thing more than anything, I would have given anything to get her previous collection. Anypoodles. While at The Makeup Show I decided to pick the entire collection up for a discounted rate. I lusted over 3 out of the 5 picture wise, but when I saw them in person I knew, no doubt they would be coming home with me. Random story, while I was really sick last week, I kept finding bottles in the bed with me. Unopened thank goodness, but weird right? Oh! All of the pictures are going to be weird and probably not the same poses. I've been having huge issues with BOTH cameras that I use for blogging. I'm going to try and get a new camera so this doesn't happen again. I'm really sorry and I know it probably will annoy you! Grunge is a greyed out mossy green creme.Depending on the light this is a bit of a chameleon, sometimes leaning more grey than green. 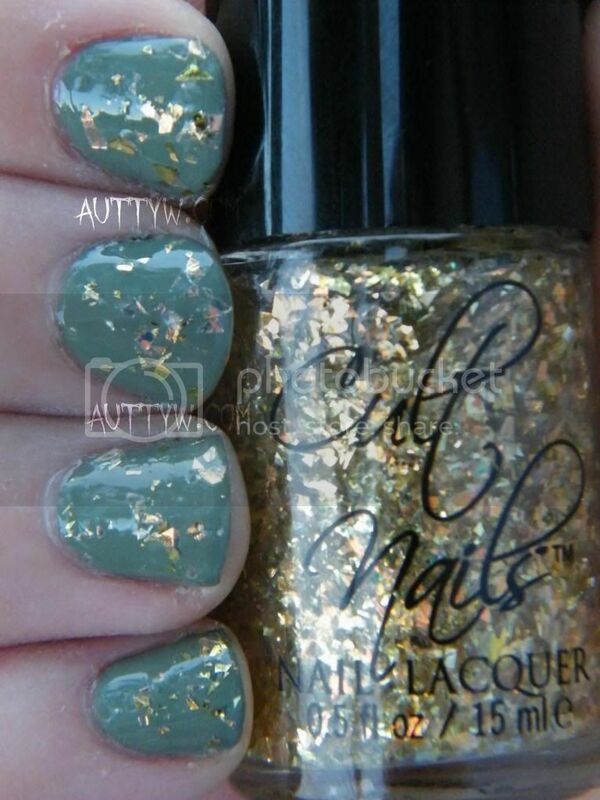 Can I tell you how much I actually really LOVE this polish? 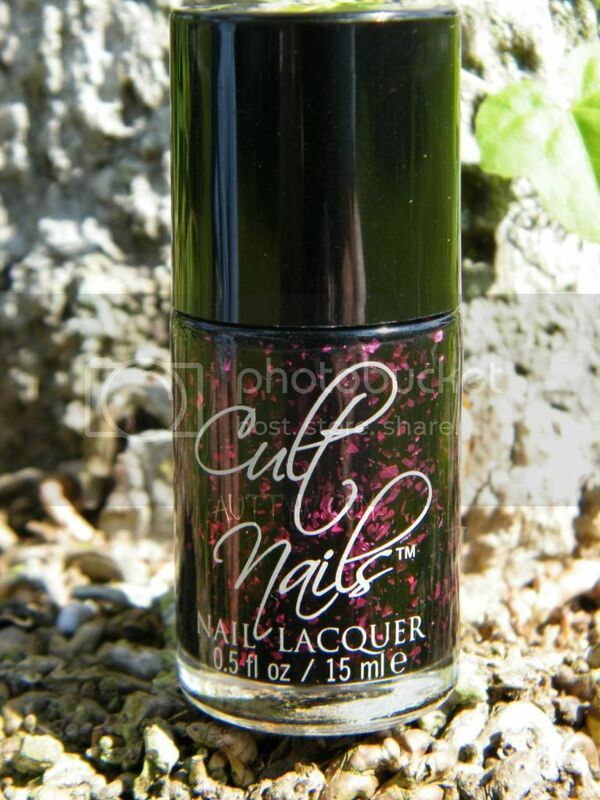 This was one of the ones I was iffy on, but once I got it on my nails I was extremely grateful I did buy it! 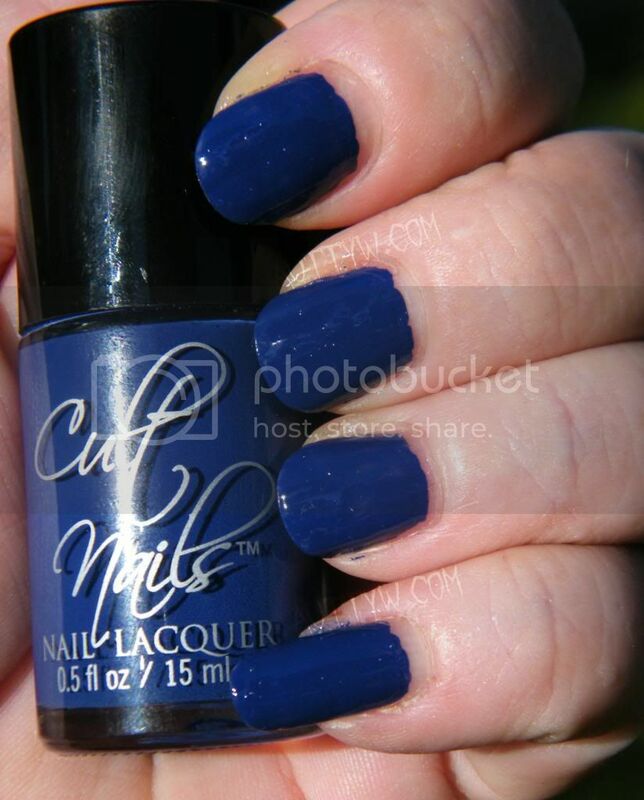 In the swatches above this was 3 coats. I did relatively thin coats, so it would dry quickly. Lamestain is a vampy a red. Depending on the light it can look a bit brown. On me Lamestain leans more towards a brown, which I don't mind at all. For my collection at least this is VERY unique.. It does lean towards red though depending on the light! This was 3 coats. See what I mean by it looking brown? Wack Slacks is a blue creme. There are some nice purple undertones. 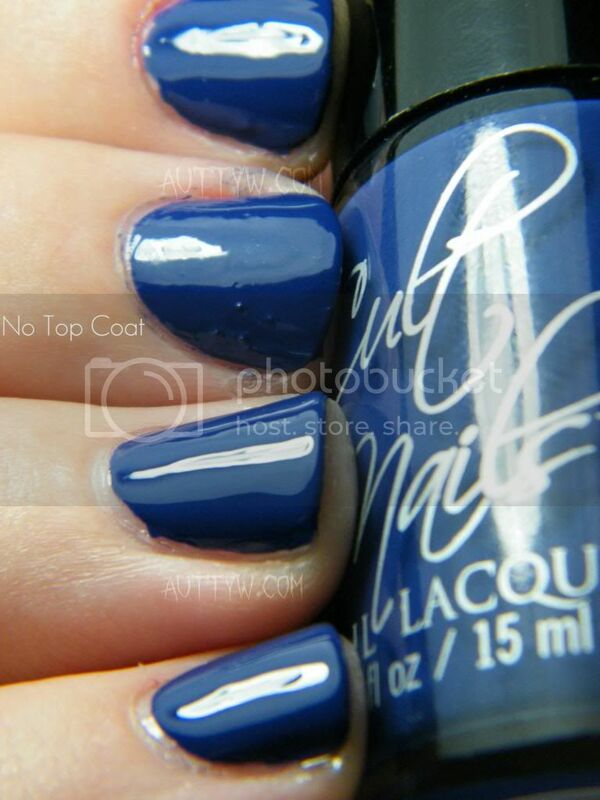 Depending on the light it can look like a dark Navy blue as well. 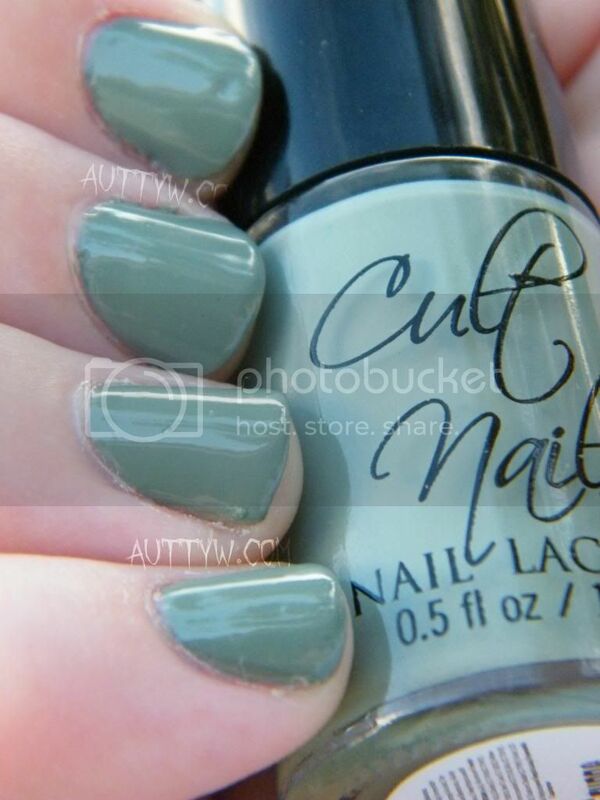 This by far is my favorite polish out of the lot. 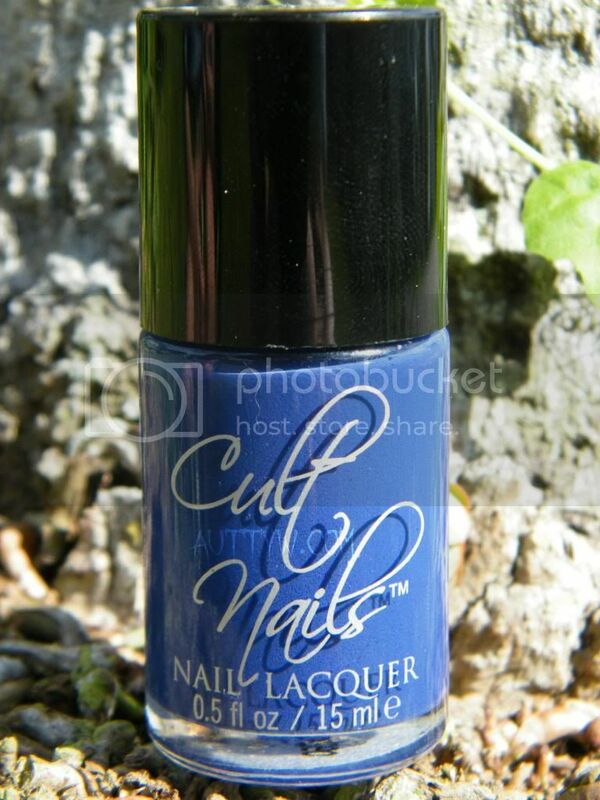 This has the most amazing formula and you could definitely get away with doing 1 coat. 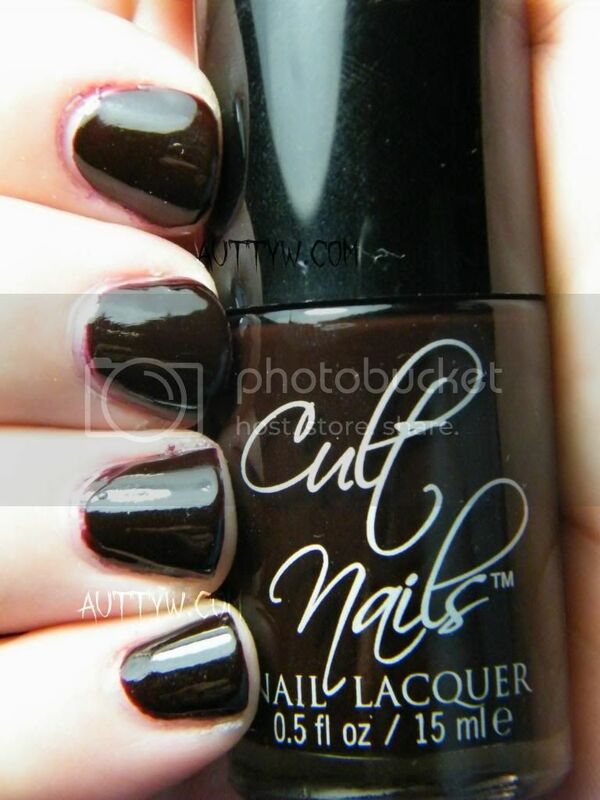 I did 2 coats in the picture below just because my nails beds were a bit messed up and peeling for some reason. I did leave my middle finger with no top coat so you could hopefully see that with a top coat is does lighten slightly. Still a gorgeous color though! 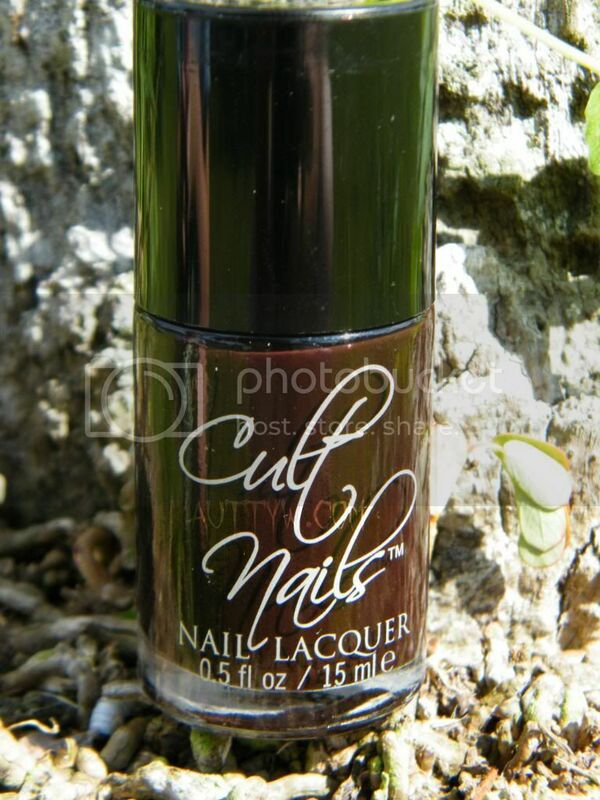 My index finger had no top coat because this polish is so shiny! Shout out to my Mom for letting me use her nails for this swatch so I didn't have to re-do my manicure! This was ONE .. yes ONE coat of Wack Slacks on her nails. I told you this polish was amazing. 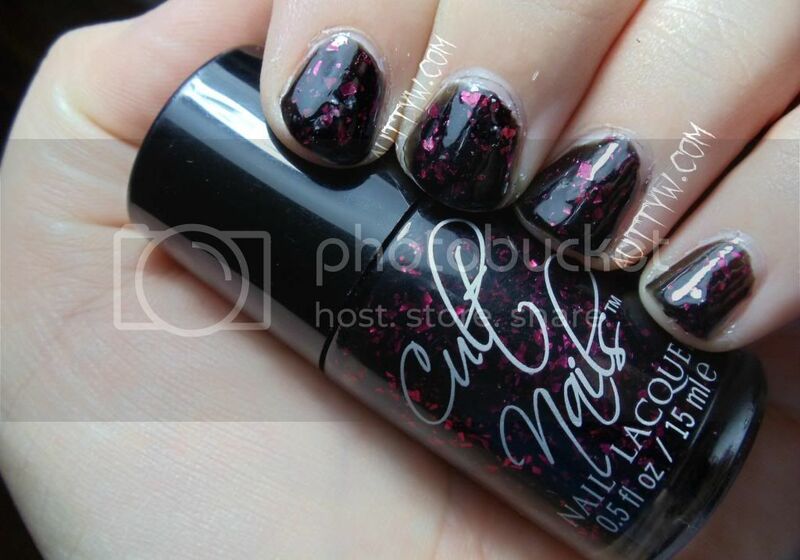 Disillusion is hot pink shards of glitter in a black jelly base. 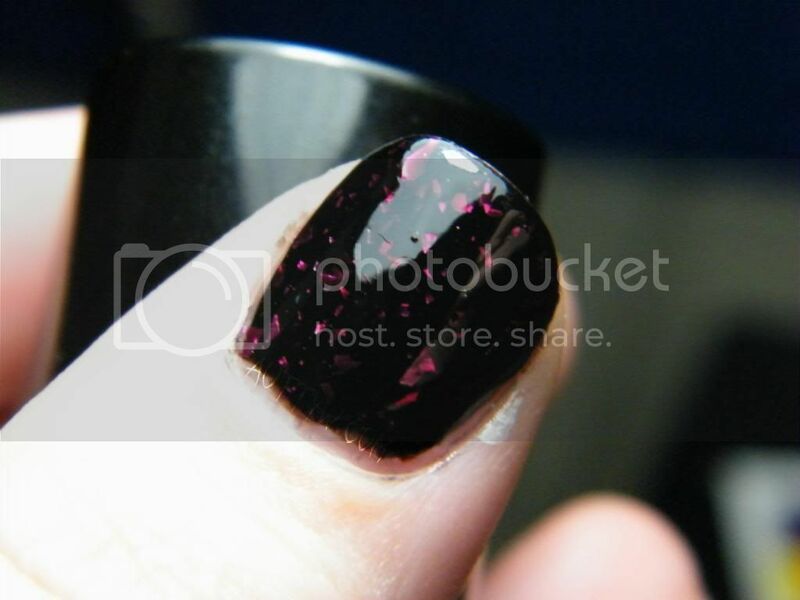 The base is a little bit sheer but it easily builds up to be opaque. This took 3 coats. My only issue with this polish is that the base is thick so I had a bit of a problem getting it to apply evenly. The shards also gave me a bit of a hassle. A few of them stuck up off of the nail, which if you put an extra thick layer of top coat or an extra layer of top coat you wont notice it. Like I mentioned before with the base, since it's on the thick side, it does lay on the nail a bit thicker than a regular polish. I'm sure you could thin this out though if you wanted. I'm not sure why I got only one picture of Disillusion by itself. This is such a gorgeous topper. It does apply randomly though, you each nail will be different. Some nails get covered more than others, which for me is not a problem. I do suggest that you don't do too many strokes with this or you will take the shards right back off of the nail, you could definitely use the dabbing method. The base is a little thick like Disillusion, but this is more manageable. All pictures are with 1 coat of Feedback. We're going to revisit Disillusion again because you can do it two different ways. 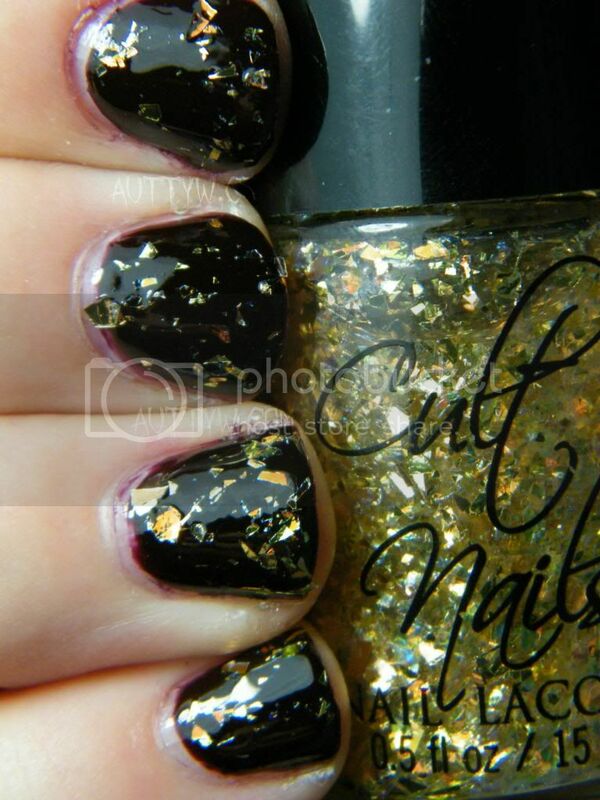 You can layer it by itself with the 3 coats, which gives it depth and it looks so gorgeous when it's used alone. 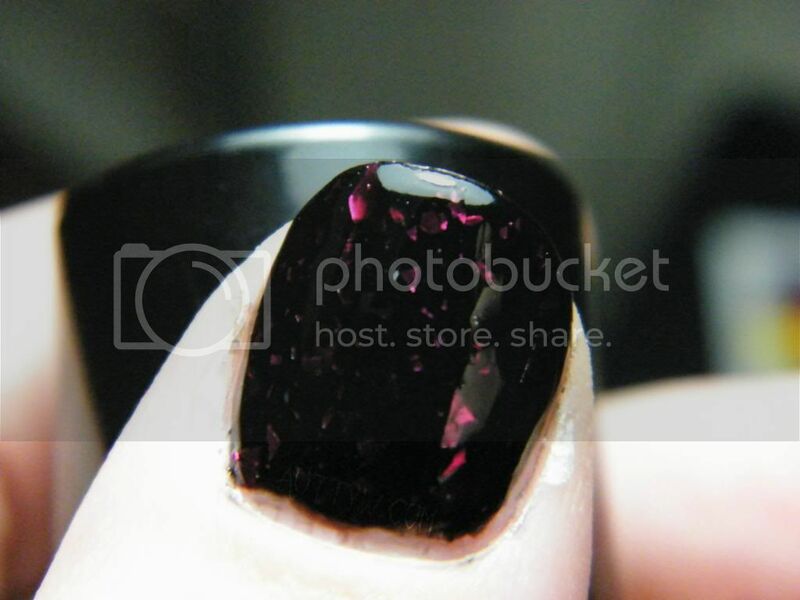 You could also layer is over a black nail polish that way you only would have to use one coat of Disillusion. 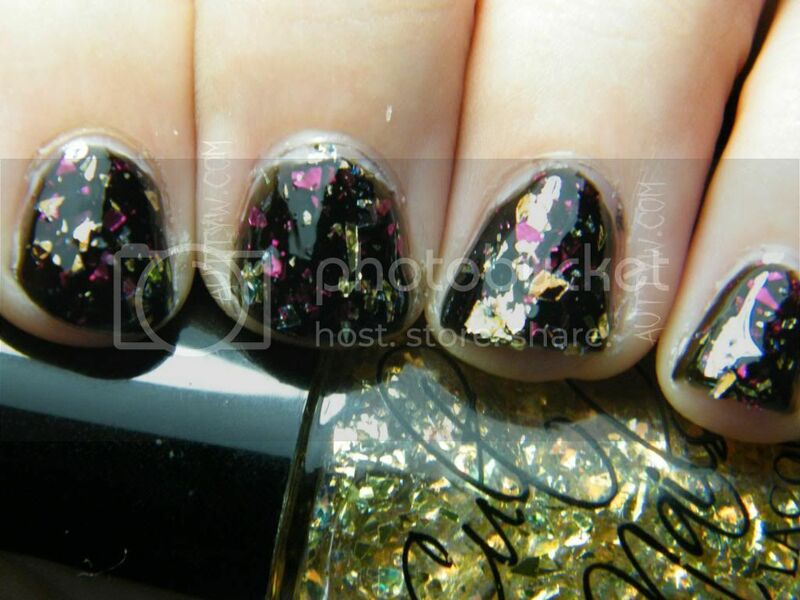 In these pictures I used Disillusion over 2 coats of ORLY Liquid Vinyl. Overall, I love love LOVE this collection! I'm so glad that I picked it up! 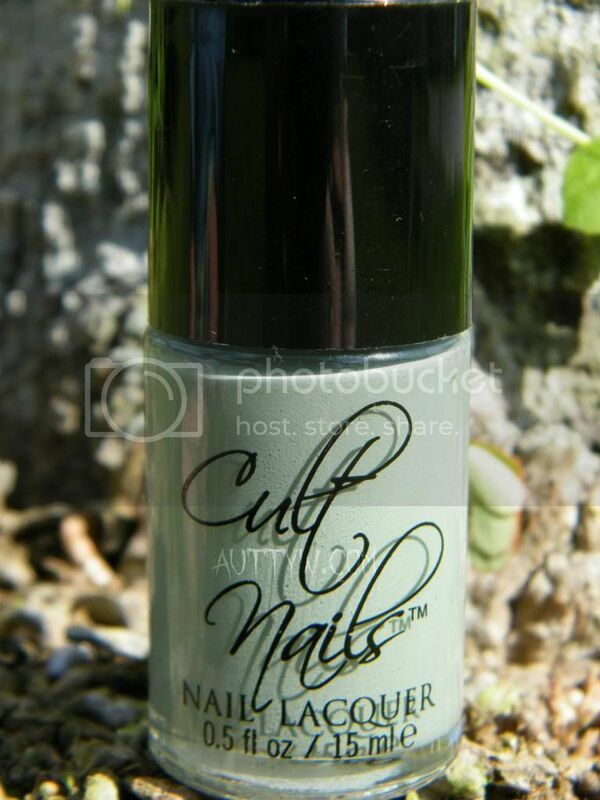 You can purchase each polish individually at cultnails.com. 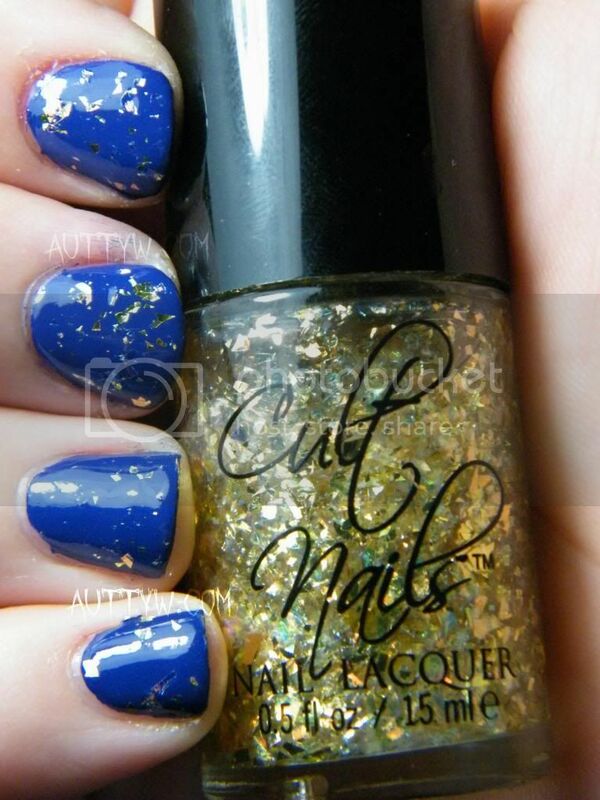 Each individual polish above in the post has a link to where you can purchase or check out each polish alone. 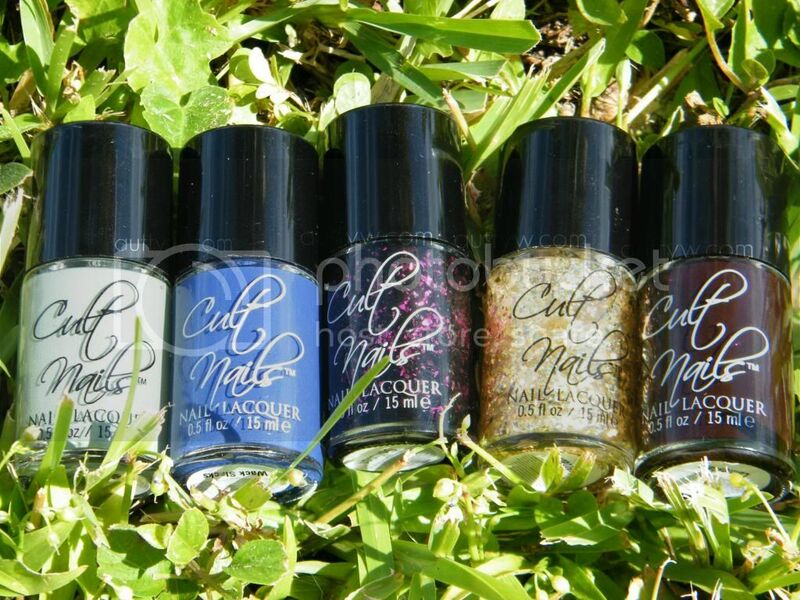 The polishes retail for $12 each or if you purchase the entire set it would be around $60 not including shipping. Spend $75 and get free shipping though! So pick up Mayhem and holographic it out! Me gusta! Thank you! I figured I needed a group shot and that's what I went with. The blue is to freaking die for! Its way prettier in person than in the pictures. I'm surprised Disillusion and Feedback looked as good together as they did! I was really surprised how that came out actually! It was way pretty! :D I'm bummed I didn't get an extra set for a giveaway though. I had a fail moment.